At Easy Storage Partnerships, we understand the importance of convenient commercial storage, and that is why we provide specialized self storage and features for businesses in the Kentucky, Ohio and West Virginia areas – including 24 hour tenant access at every location Join the many businesses that have increased their bottom line by contacting one of our commercial storage specialists! Banks utilize our services to store company vehicles and/or repossessed vehicles in order to save space on lots for customer parking. Recovery specialists utilize our services to store recovered items. 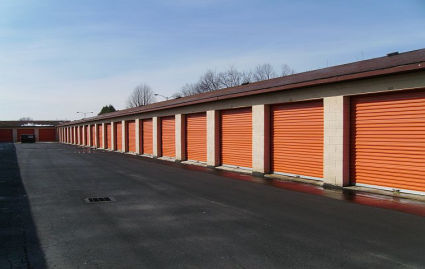 Concrete and masonry workers, landscapers, glass repair and general construction companies utilize our storage units to store equipment and materials in order to save the expense of leasing retail building space. Rent-to-own companies utilize our services to store rental merchandise, allowing them to provide their customers with a larger selection of properties while maintaining an organized showroom. Physicians (in an array of practices) utilize our services to store files, excess equipment and office furniture as a way to create extra office space, reduce clutter, and open up areas that can be leased to other practitioners. Prescription drug representatives utilize our climate and temperature controlled storage units to keep inventory in good condition. Wholesale and internet-based sales professionals utilize our services to store merchandise, allowing them to work out of their home and still provide timely delivery to their customers. Retail stores and restaurants utilize our services to store seasonal displays, outdoor dining tables and/or chairs, equipment and surplus inventory. We provide commercial storage units in the following Kentucky, Ohio, and West Virginia locations: Canton OH, Charleston WV, Cleveland OH, Huntington WV, Proctorville OH, Hudson OH, Novelty OH, Mansfield OH, Dunbar WV, Ashland KY, Chesapeake OH, Elyria OH, Kenova WV, South Point OH, and Barboursville WV.